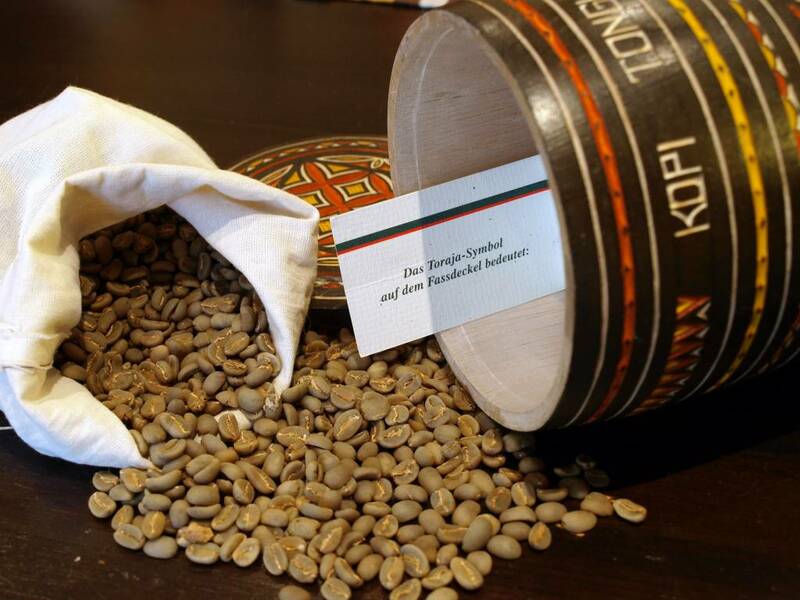 On Sulawesi (formerly Celebes) grows this extremely low-acid coffee rarity of highly refined taste. A coffee with a special flavor and strong aroma. Unusual and unique natural. Only fully ripe, red cherries are from Tongkonan on Sulawesi harvested. Then, the freshly picked fruits are placed in wooden barrels and covered with pure spring water. The pulp is removed by constant, careful pounding with a pestle and the coffee is thoroughly washed. The still moist coffee beans are laid out in the warm tropical sun and gently dried with constant contact. This may take three to four weeks, as the coffee has to be repeatedly collected at impending rains and stored in woven baskets. After completion of drying, the members of Tongkonan Toraja come together and solve in my hand now jade green coffee beans from the parchment shell that surrounds them. Only the flawless beans are chosen and stored in small cotton sacks for export. The bean is made in the raw state of all other coffees by an emerald green glow from. This coffee is roasted when ordered, it can therefore not 24 hours delivery can be guaranteed. The wooden barrel is not part of the delivery. 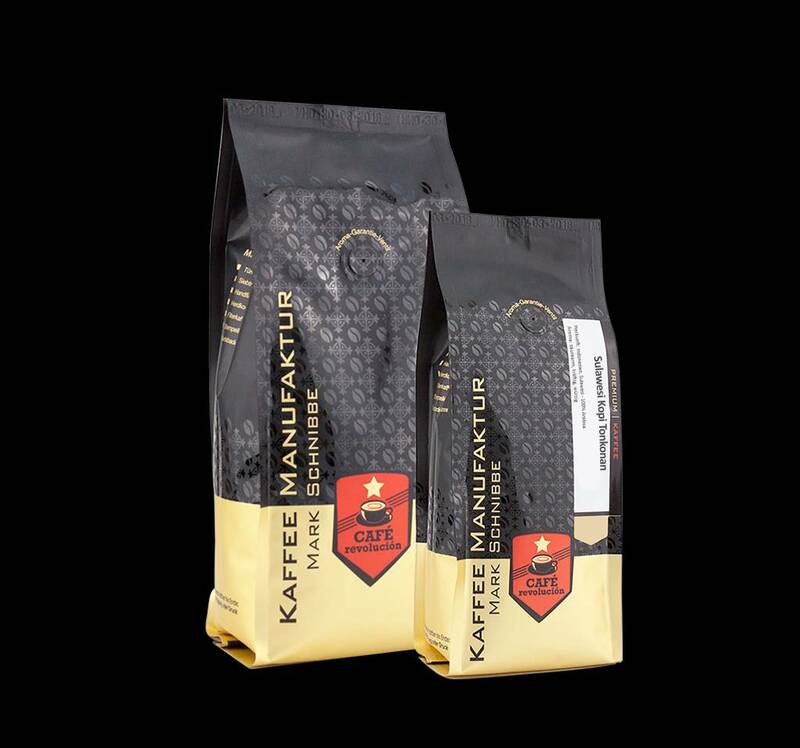 K. MarionPosted on 16 January 2018 at 17:46 Ein ganz besonderer Kaffee ! Fantastischer, vielfältiger Geschmack der bei jedem Schluck leckerer wird, etwas kräftiger im Körper.